Today on the BLOG: New Recipe for you to sample! Very fast and easy to make! Your GLOWing bodies will thank you for that! The idea to create this nourishing soup came to me last week after I taught a yoga class at Goodness Me Organics and of course, could not resist doing a bit of organic shopping there! I just felt like buying one of each –parsnip, carrot, zucchini and beetroot! And voile! Here it is – my “Back to the Roots” Soup! This name is quite close to my heart, too! As, of course, we are using our beautiful root vegetables here – parsnip, carrot, beetroot, garlic and onion! But also, this soup is inspired by my Russian roots. 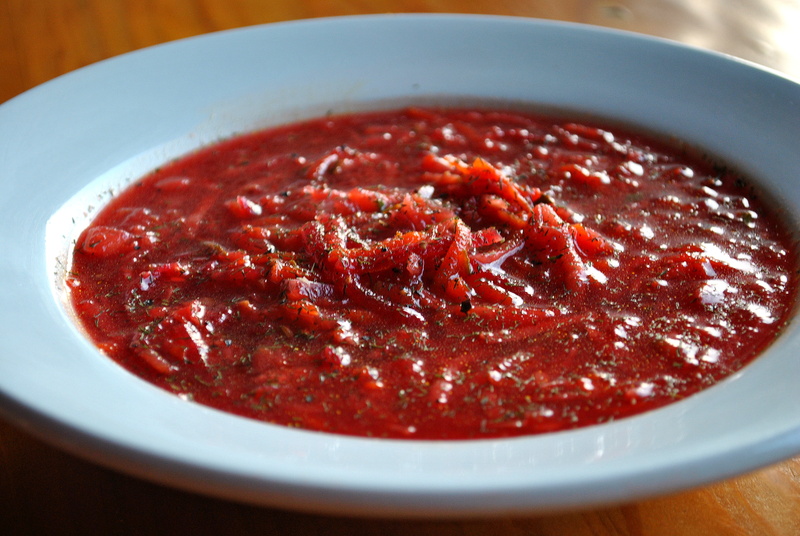 Soups are very popular in Russian cuisine – most of you must have heard of beetroot-dominated borscht, right? My granny would not let me get away with a day without a bowl of soup for dinner (equivalent for lunch in Australia) and only now I see why! Soups are nutritious and filling but yet they are light! They are packed with minerals, vitamins and anti-oxidants, and they also nourish and warm our bodies, especially in cooler seasons! So, try it for yourself and let me know what you think! I’m so glad to hear you like the idea! Enjoy!